मुसाफ़िर हूँ यारो... ( Musafir Hoon Yaaro ...): आराधना और प्राकृतिक सुंदरता का संगम : गणपतिपुले Beaches of Konkan : Ganpatipule ! आराधना और प्राकृतिक सुंदरता का संगम : गणपतिपुले Beaches of Konkan : Ganpatipule ! शुरुआत में तट उतना साफ नहीं दिखा पर जैसे जैसे हम आगे बढ़ते गए दृश्य बदलता गया । अब तो सिर्फ समुद्र की लहरें थीं , रेत की चादर थी और उनके साथ थे हमारे कदमों के निशां ! हार्दिक आभार इसे चुनने के लिए ! 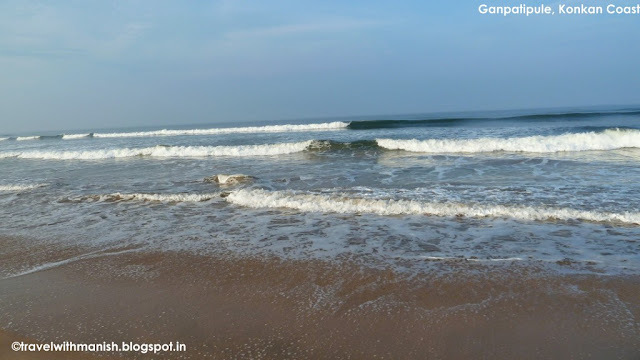 Have you visited Tarkali beach too? Another wonderful location beside sea shore. Yeah will write about it soon . :) but not in the next post ! I have to go see Ganapatipule soon and this link is my newest inspiration. Thanks for sharing! 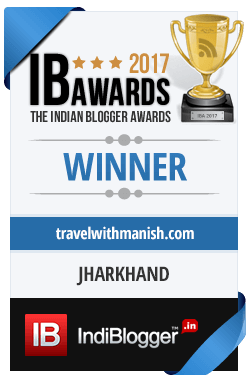 Manishji, I am fond of reading all yr posts. I stayed in Ratnagiri and visited this place several times. No need to say that I loved this place. Long beach with silver coloured sand and beautiful temple is added attraction. In Konkan there are so many places to visit and explore...beaches, mountains, ghats, temples, forts....really beautiful specially in rainy season. Nice to know that smile emoticon. I visited some other places around Ratnagiri during that visit . Will share my experience of Konkan in my coming posts !